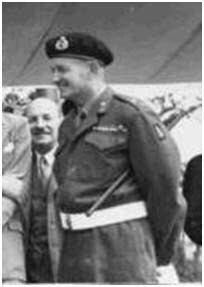 Major-General Lewis Owen Lyne CB, DSO took over command of the division on 22 November 1944, when Gen Verney went to Italy to command 6th Armoured Division. 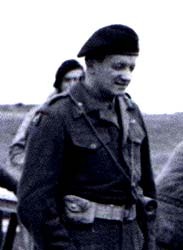 Gen Lyne had commanded 50th Northumbrian Division in Normandy, when Gen Graham was injured, until it became a training division in the UK. He would then command the "Desert Rats" on the final lap through the Siegfried Line, into Germany and on to the surrender of Hamburg and the end of the war. Postwar he was the first Military Governor of the British Zone of Berlin, then Director Staff Duties at the War Office, before retiring in 1949. 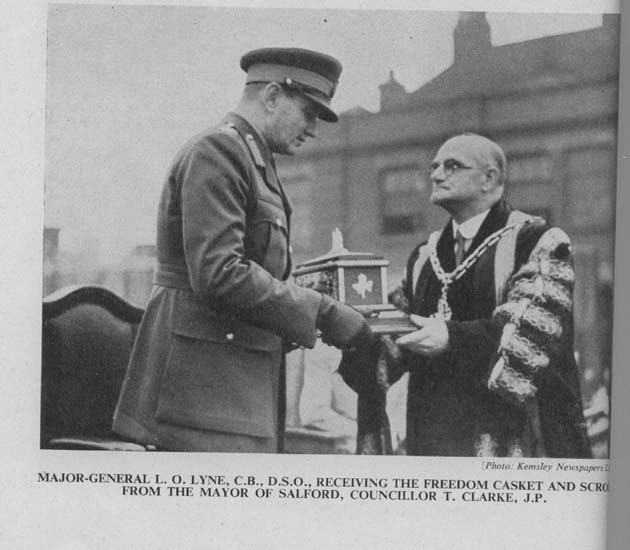 Lyne joined the British Army and was commissioned as a second lieutenant into the Lancashire Fusiliers in 1921. He was made a staff officer at the War Office in 1938. 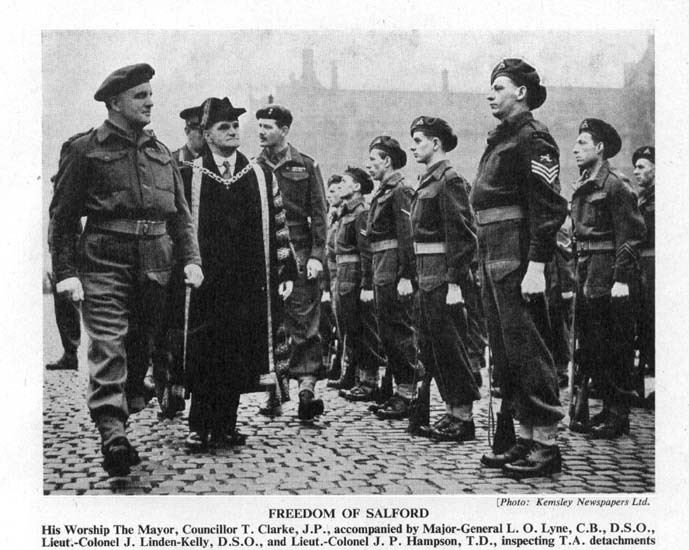 He served in World War II, being appointed Commanding Officer of the 9th Battalion, Lancashire Fusiliers in 1940, a war service battalion created in June 1940. He went on to be Chief Instructor at the Senior Officers' School in 1941 and promoted to brigadier, commanding the 169th (London) Infantry Brigade (also known as the Queen's Brigade), attached to the 56th (London) Infantry Division, in Italy in 1943. Although he was wounded in 1943, he was promoted to major-general and appointed General Officer Commanding (GOC) 59th (Staffordshire) Infantry Division on 30 March 1944 and then of 50th (Northumbrian) Infantry Division a few months later when the 59th Division was disbanded in August 1944. The 50th Division was also disbanded in December 1944 and he then became GOC 7th Armoured Division and led it through the Siegfried Line and on to Hamburg. 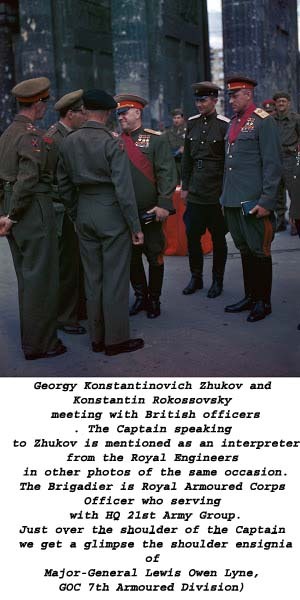 He took part in the Victory Parade in Berlin on 21 July 1945. LONDON, Nov. 6 (Reuters) Maj. Gen. Lewis Owen Lyne, who as commander of the Seventh Armored Division led British troops into Berlin in 1945, died at his Suffolk County home Wednesday at the age of 71. General Lyne became military governor of the British zone in Berlin in 1945 and served in the War Office before his retire ment from the British Army in 1949. Later he was chairman and a director of several Brit ish oil companies. He was joint president of the United Nations Association in 1957. Before he assumed command of the Seventh Armored Divi sion toward the end of World War II, General Lyne was com manding officer of the 169th Infantry Brigade in Iraq and North Africa and the Stafford shire and Northumbrian Divi sions in Europe. General Lyne was a Com panion of the Distinguished Service Order, a Companion of the Bath and an Officer of the French Legion of Honor. He also received the Russian Order of Kutuzov. 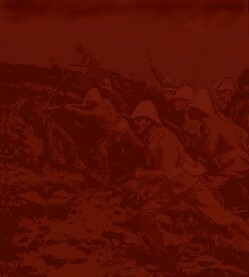 When I joined 1LF in 1948 his name was very prominent but he had become a sick man, I think he had a leg amputated, after that then he dropped out of sight.